Large Print Treasury | We're printing classics in large print because we hate tiny print! Posted on 01/27/2014 by No Tiny Print! This is the LARGE PRINT EDITION of the US Constitution, including the Bill of Rights, all 27 Amendments, the Declaration of Independence, and the Articles of Confederation. Unlike most other available printings, this collection is in Easy-to-Read format to reduce visual strain. This large print edition of the Founding Fathers’ documents is presented in its original form without political commentary. Posted on 08/29/2016 by No Tiny Print! Full Color 8.5×11 reproduction of the original Apollo 11 Flight Plan by NASA. All charts and graphs are included. This excellent edition is printed on high-quality paper with a durable cover. He and Aldrin spent about two and a quarter hours together outside the spacecraft, and collected 47.5 pounds of lunar material for return to Earth. Michael Collins piloted the command module Columbia alone in lunar orbit while they were on the Moon’s surface. Armstrong and Aldrin spent just under a day on the lunar surface before rendezvousing with Columbia in lunar orbit. Launched by a Saturn V rocket from Kennedy Space Center in Merritt Island, Florida, on July 16, Apollo 11 was the fifth manned mission of NASA’s Apollo program. The Apollo spacecraft had three parts: a command module (CM) with a cabin for the three astronauts, and the only part that landed back on Earth; a service module (SM), which supported the command module with propulsion, electrical power, oxygen, and water; and a lunar module (LM) that had two stages – a lower stage for landing on the Moon, and an upper stage to place the astronauts back into lunar orbit. After being sent toward the Moon by the Saturn V’s upper stage, the astronauts separated the spacecraft from it and traveled for three days until they entered into lunar orbit. Armstrong and Aldrin then moved into the lunar module Eagle and landed in the Sea of Tranquility. The astronauts used Eagle’s upper stage to lift off from the lunar surface and rejoin Collins in the command module. They jettisoned Eagle before they performed the maneuvers that blasted them out of lunar orbit on a trajectory back to Earth. They returned to Earth and landed in the Pacific Ocean on July 24. Posted on 06/05/2015 by No Tiny Print! This Thomas Hardy novel was his first major literary success, even though he never saw it published. It is set in the semi-fictional region of Wessex and is enriched with his pleasant descriptions of rural life and landscapes. In it Bathsheba Everdene, our independent and spirited heroine, moves into her position as a farmer on a large estate in Weatherbury. During the novel, she attracts three very different men: the gentleman-farmer Boldwood, the soldier Sergeant Troy, and the shepherd Gabriel Oak. Each relationship complicates her life and tragedy threatens. Thomas Hardy makes man an insignificant part of the world, struggling against powers greater than himself,–sometimes against systems which he cannot reach or influence, sometimes against a kind of grim world-spirit who delights in making human affairs go wrong. He is not a realist, but rather a man conflicted by pessimism; and his novels, are powerful and often fascinating. From the reader’s view point some of his earlier works, like the idyllic love story Under the Greenwood Tree (1872) and A Pair of Blue Eyes (1873), are the most interesting. United States Government budget for fiscal year 2016. The Budget of the United States Government is a collection of documents that contains the budget message of the President, information about the President’s budget proposals for a given fiscal year, and other budgetary publications that have been issued throughout the fiscal year. Other related and supporting budget publications are included, which may vary from year to year. Posted on 12/16/2014 by No Tiny Print! This collection of data from a variety of important sources brings to light the true threat of the so-called Islamic State. Information from military advisors, journalists, Congressional Hearings, and the President of the United States are compiled to provide a clear picture of ISIS’ dangerous global potential. “They have declared that they are at war with the United States…. They have a leader in Baghdadi. They have already conquered territory, about half of Iraq, about half of Syria…. They have made absolutely breathtaking strides in their short tenure of advancement. So they have land. They have a name. They have a leader. They have a government. It is known as shari’a law. That is Islamic law….. They have an army. Twelve thousand, presumably, are in the Islamic State Army, and brutal they are–beheadings, women raped, men beheaded, innocent children shot in the head. It is absolutely devastating. We see Christians have been chased out of the Middle East region…..The Christians have been chased repeatedly out of Iraq. They are being chased out of the Baghdad area. They have been chased certainly out of northern Iraq and western Iraq, as Jews were chased out long ago. Now, in Syria, we hear the horrific stories of Christians who have been killed and murdered and beheaded simply because they name the name of Jesus Christ. Jews have been slaughtered and beheaded simply because they name the name of their God. Posted on 09/08/2014 by No Tiny Print! 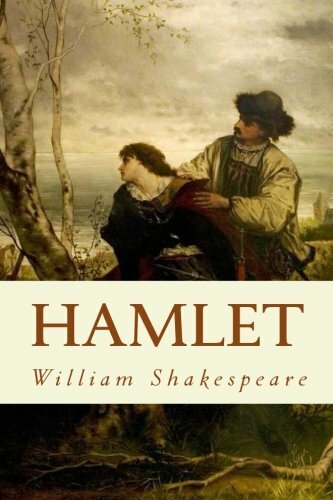 Hamlet is one of the most loved and quoted works of English literature. This tragic play has moved audiences for centuries, and is still gaining in popularity. This excellent play is listed on the College Board reading list for Advanced Placement English. This edition of Shakespeare’s Hamlet is unabridged and as close to the original as possible. Posted on 08/25/2014 by No Tiny Print! 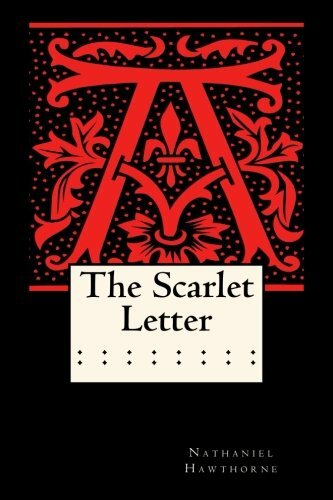 Nathaniel Hawthorne’s masterpiece, The Scarlet Letter, is a foundational work in American Literature. This edition includes notes, maps, and essays to enhance the reading experience. The Puritan people as a whole were liberty-loving in the extreme, but the individual was restrained at every step by laws that no free people of today would tolerate for an hour. Paternalism in government was the rule in the other colonies and in Europe, but nowhere was it carried to such an extreme as in New England.